The wide, flat and winding paths through northern Nicaragua look like well-traveled roads for four-wheel-drive vehicles. But upon closer inspection, they’re not paths at all—they’re dried up riverbeds. The Tecomapa River and the Gallo River near Somotillo, Nicaragua, haven’t flowed in years. The Rio Coco, Nicaragua’s biggest river, is now reduced to a small stream. What remains is dust and rocks. Since 2014, droughts attributed to climate change have occurred in this region of Central America, stretching from Nicaragua through El Salvador, and from Honduras to Guatemala, leaving people hungry and thirsty. According to The Lutheran World Federation, rainfall averages in 2014 were 50 to 75 percent below normal in Central America, greatly affecting the staple crops in El Salvador, Honduras and Nicaragua. El Salvador declared a national state of emergency due to a 90 percent loss of their annual bean crop. The World Food Program predicted that 3.5 million people have been affected by this drought. Changes in rain patterns are reported not just in Central America but also by agrarian societies all over the world. “Farmers do not know when the rains will come or if they will come. This year, twice now, farmers have planted crops when it rained, only to see them dry up and die because the expected rains never came,” said M.W. Mallumbo, deputy general secretary for planning and development of the Evangelical Lutheran Church in Tanzania (ELCT). In northern Tanzania, there is a food shortage because farmers rely heavily on snowmelt from Mount Kilimanjaro and Mount Meru for irrigation. “Each year there is less and less snow on Mount Kilimanjaro, and the snow has entirely disappeared from Mount Meru. Ten years ago, there was abundant snow on both,” Mallumbo said. Since 2014, the ELCT has created programs to encourage agricultural resilience, such as planting drought-resistant crops like sorghum, cassava and finger millet. Both climate scientists and those who are experiencing the effects of drought and a warming planet say that climate change is not a political issue—it’s a daily reality. “There’s nothing to argue about when you are facing food insecurity and you are mourning the death of your way of life and your culture,” said Thomas Richter, pastor of Shishmaref Lutheran Church in Shishmaref, Alaska. Due to melting sea ice, the people of Shishmaref can no longer hunt and fish in the same way they have for generations. Lutherans Restoring Creation, a group that encourages creation care in the ELCA, posits that the ELCA, a church with a long history of disaster response and hunger relief, is in a unique position to confront climate change. 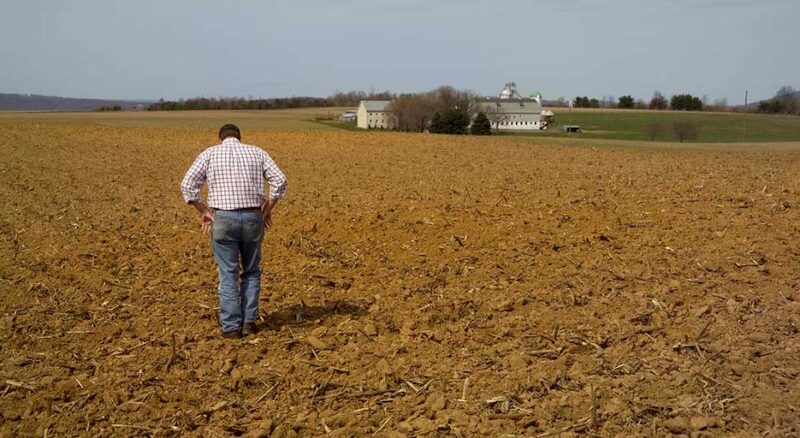 “It is time to do more work to understand what the root causes are of some of the most tenacious crises as a part of our mission to serve our neighbors,” said Phoebe Morad, national program coordinator for Lutherans Restoring Creation. “Congregations are encouraged to lift up in prayer those suffering from the impacts of climate change and those in positions to address it legislatively,” said Ruth Ivory-Moore, ELCA Advocacy program director for environment and energy. To learn ways your congregation can be involved in ELCA Advocacy’s work with ELCA’s “Caring for Creation” social statement, view these resources. Read parts one and two in the series. Sancken is a social worker, mother and writer based in Charlottesville, Va. She is a Valparaiso [Ind.] University alumna.